Wine Gifts that Ship to Washington D.C.
36 Ideas for Wine Gifts that Ship to Washington D.C.
All Wine Gifts that Ship to Washington D.C.
Give the gift of learning how to taste wine — a wine tasting party in a box! Why this gift: Presented in a popular and reusable wood crate, this inexpensive wine gift is perfect for any sweet wine lover. Personalize the crate to make the gift even more special. "Ruffino Moscato d'Asti is pleasantly sweet and fragrant with distinct notes of peach and orange blossoms. This wine is perfectly tempered by the freshness of its refined bubbles. Look for hints of elderberry and wisteria along with a sweet white-fruit finish. Moscato d'Asti's low alcohol makes it a very versatile food companion. It pairs particularly well with almost any type of dessert. A classic Italian pairing is with fresh bread, salami, figs and melon. Moscato d'Asti also tastes wonderful with spicy Asian foods." Information provided by GiftTree. Why this gift: The Gold Medal Wine Club is one of our favorite wine subscription companies. We recommend a mix of red and white wine to help them discover the joys of California wine from small family wineries. Get more details about this wine club gift in our Gold Series review." Why this gift: Wood crates make for a great gift presentation. They're not fussy or cheap and they make whatever is inside shine. In this case, a lovely bottle of sparkling wine from a well-known winery in Washington is tucked inside. Delicate and refined, this contemporary Brut Cuvee is a stylish sparking wine crafted in the classic French method. Crisp yet delicate flavors of apple, pear and citrus give way to toast and tangerine on the finish. Michelle Brut is the perfect accompaniment for salty snacks like calamari and caviar, or sweets like chocolate oranges. Information provided by Gift Tree. Why this gift: Wood crates make for a great gift presentation. They're not fussy or cheap and they make whatever is inside shine. In this case, a delightful bottle of sparkling wine from a terrific winery in Oregon is tucked inside. "This wine pulls you in from across the room. The soft straw color, the tiny streams of minuscule bubbles, and as you raise the glass, you get full aromas of creamy vanilla poached pear and fresh sour dough starter. The first impression on the palate is of how well balanced this wine is, playing the purity of fruit off of the fresh acidity while showcasing the wine's natural mineral notes. There are notes of ripe guava, red Anjou pear, Meyer lemon, and lightly toasted brioche, finishing with notes of honeysuckle and lemon curd. This is a delectable example of a fresh, vintage dated sparkling wine to impress and please." -Winemaker's Notes provided by Gift Tree. Why this gift: Rosé is hugely popular, especially in the warm Spring and Summer months. Wine tasting is also hugely popular and so together this wine gift will please a huge audience. The wines have never been imported into the US before, except by VineBox, so these are wines you can't get anywhere else. We love the fun that comes with opening a small box filled with interesting wine by the glass. Why this gift: This adorable little picnic basket contains treasure inside. Two splits (individual glasses of wine) of California sparkling wine and 1.75 oz of Saraivanov's Signature caviar make for a special treat that most people wouldn't indulge in for themselves. A perfect gift. A sparkling wine from California that delivers complex apple and tropical fruit characteristics, accented by cinnamon spice over notes of almond and brioche in the bouquet. Served slightly chilled, this lovely sparkling wine grows in the glass, to be sipped and savored to its soft, elegant finish. Information provided by GiftTree. Why this gift: This adorable little picnic basket contains treasure inside. Two splits (individual glasses of wine) of California sparkling wine, 4 Ghirardelli Dark Chocolate truffles, and a dozen fudge swirl truffles make for a special treat that most people wouldn't indulge in for themselves. A perfect gift. Why this gift: Wine gifts typically cost more than $50, so if you're buying a wine gift on a budget, sometimes its hard to give actual wine. Fortunately, this little winner has two of most women's favorite things... rosé wine and chocolate! We can't imagine any woman wouldn't be delighted to receive this thoughtful wine gift. "Whole cluster pressed and fermented in stainless steel, Claribel's Bright & Beautiful Rose shows alluring aromatics of watermelon, strawberry and white flowers, and the palate displays peach and nectarine stone fruits with crisp, mouthwatering acidity." Information provided by GiftTree. Why this gift: The Bernard Remy Prestige is a Brut Cuvée of 60% Chardonnay, 30% Pinot Noir, and 10% Meunier, offering complex and balanced notes from the first sip to the long, lingering finish. Order any quantity of bottles and they'll find a custom greeting card in the box, too. This exclusively-imported Bernard Remy Prestige Champagne is a Brut Cuvée offering intricate and balanced notes from your first sip to the long, lingering finish. Vigorous bubbles keep this Champagne fresh, lively and a perfect choice for any celebration! This is an Exclusive Import, rated 92 Points + Gold Medal + Cellar Selection by Tastings.com. This is truly fabulous! Information provided by Gold Medal Wine Club. Why this gift: A great bottle of Pinot Noir to give as a wine gift, this stunning example of Oregon's Willamette Valley is sure to impress any Pinotphile. Les Dijonnais represents the best barrels from the Brick House vineyard, planted with Dijon clone vines. Certified biodynamic. Why this gift: Affordable wine gifts are hard to come by but this classically-styled Cabernet Sauvignon from Santa Ynez Valley in Santa Barbara County, California is a great red wine gift to give. It comes with two Riedel stemless wine glasses in a sturdy, well-designed presentation box. Why this gift: A terrific way to give a wine gift to your favorite red wine lover, this selection represents great wines from Bordeaux, Spain, and California. Rated 91 to 93 points by a variety of wine critics and discounted, this gift is sure to please. This gift includes a printed insert that describes the featured wines. Why this gift: A good wine gift that's affordable, this trio of Bordeaux wines from the lesser-known Chateaux is sure to be enjoyed by anyone who prefers Old World wine, French wine, and of course, Bordeaux. This gift includes a printed insert that describes the featured wines. Why this gift: Affordable wine gifts are hard to come by but this classically-styled Cabernet Sauvignon from Santa Ynez Valley in Santa Barbara County, California and well-balanced Carneros Chardonnay is a great wine gift to give. The classic California combination of Chardonnay & Cabernet Sauvignon can be appreciated by anyone who enjoys good-quality California wine. Why this gift: When you give this box of wine and treats, you're helping your favorite wine lover relax after a long week of work. They'll come home, crack open the hand-picked bottle of artisanal California wine, cut up unusual and delicious expertly-paired cheese, and enjoy mouthwatering expertly-paired salami and Nita Crisp crackers. Why this gift: The Gold Medal Wine Club is one of our favorite wine subscription companies. These high-end pinot noirs are made in small lots by small wineries in California. These hidden gems are rarely seen outside of wine country. Get more details about this wine club gift in our Pinot Noir Series review." Why this gift: The Gold Medal Wine Club is one of our favorite wine subscription companies. These high-end wines are made by the tiniest wineries in California, by American Garagistes. Too small for distribution, you'll never find these hidden gems in a wine store outside of wine country. Get more details about this wine club gift in our Garagiste Series review." Why this gift: Perfect for exploring new wine, tasting expensive wine, or for wine lovers who tend to drink a glass at a time — calorie counters and weeknight drinkers, we got you. This gift includes nine glasses (3.3 ounces) filled with perfectly-preserved premium wine. We love the VineBox experience. The quality of the wine is exceptional, and all of the wine is selected by sommelier Tyler Kennedy. The packaging is a compact box containing glass tubes of wine. Except for the fact that you pour it yourself, it’s like visiting a wine tasting room with a selective inventory of mostly European wines. To learn more about this gift, please read our full VineBox review. Why this gift: The Gold Medal Wine Club is one of our favorite wine subscription companies. These premium California wines rated 90 points or higher from small family wineries represent everything good in the Golden State wine industry. Get more details about this wine club gift in our Platinum Series review." Why this gift: Wood crates make for a great gift presentation. They're not fussy or cheap and they make whatever is inside shine. In this case, a world-famous Champagne is tucked inside. Refined and well-integrated, with hints of tropical fruit paired with poached apple and almond pastry. An expertly blended, 91-point rated Champagne with notes of passion fruit and pineapple. Refined and well-integrated, with hints of tropical fruit paired with poached apple and almond pastry, with a lengthy finish. Information provided by GiftTree. Why this gift: This gift basket in a reusable leather serving tray comes chock full of delicious snacks to accompany this North Coast sparkler. They'll enjoy dried fruits, chocolate wafers, camembert cheese, crostini, fresh almonds, and more. "Dunlin Brut offers a crisp, full-bodied glass with a fine bead, aromas of floral apple and cinnamon toast. Flavors of green apple and citrus develop into rich complexity and fine mousse. Brilliantly balanced and deep; this is a fresh and tangy wine made in the exacting methode champenoise." Information provided by GiftTree. Why this gift: For a white wine lover, this is a fabulous gift (as long as you've never heard them exclaim "ABC! Anything But Chardonnay!"). We've visited all three of these wineries and tasted every one of these wines. We'd happily buy any of these wines, so this trio for a gift just makes us smile. "Crisp and elegant with hints of apple blossom, spring flowers, and lively melon flavors. This zesty medium-bodied blend makes a pleasantly dry companion for a variety of dishes." Information provided by GiftTree. "Luscious aromas of white peach, tropical fruits, spice, and honeysuckle greet the nose as this balanced Chardonnay presents flavors of lemon, pineapple, and green apple on the palate. Pleasing floral and spice notes from the French oak carry rich fruit flavors through for a juicy, long finish. 90 Points - Wine Advocate" Information provided by GiftTree. "A cool climate Chardonnay that is aged in stainless steel tanks rather than oak barrels, this unique wine has the intense acidity of freshly cut pineapple or a young blood orange. The lack of malolactic fermentation leaves a refreshing concentrated clarity, perfect for pairing with seafood or grilled chicken." Information provided by GiftTree. Why this gift: The Gold Medal Wine Club is one of our favorite wine subscription companies. These international wine shipments are themed and each box contains three wines from a different artisanal wine producer overseas. We strongly recommend the Gourmet Adventure Package add-on which makes each box a food & wine journey. 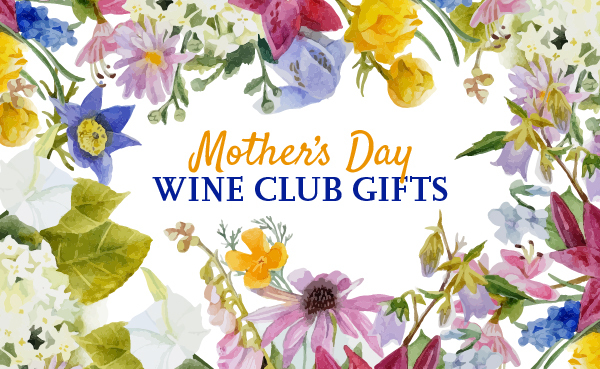 Get more details about this wine club gift in our International Series review." Why this gift: Designed to make learning about wine easy and comfortable in a group setting, this kit includes 6 bottles of wine, 11 informative cards, a 6 bags to hide the wine to guide your interactive blind tasting experience. A dream for any wine lover who is ready to start taking wine more seriously. Why this gift: One bottle of true French Champagne from Bernard Remy delivered with two Riedel Champagne flutes, handmade chocolate truffles, and a champagne bottle stopper. What else could you ask for in a celebratory Champagne gift basket? "Solus Estates presents layers of delicate pear and grapefruit amidst structured, expressive acidity in this well balanced chardonnay. Substantial enough to drink on its own, or a richly textured companion to fresh dishes like Caesar salad or poached salmon." Information provided by GiftTree. Why this gift: VineBox is a different kind of wine subscription service, perfect if you like exploring new wine, like tasting expensive wine, or tend to drink a glass at a time — calorie counters and weeknight drinkers, we got you. Each quarter you receive nine glasses (3.3 ounces) filled with perfectly-preserved premium wine. Why this gift: Vinley Market is one of our favorite wine clubs, and we especially love the sommelier-selected bargains in their Adventurer's wine club. This three-month gift of two wines in each shipment is sure to impress any adventurous wine drinker, whether a new explorer or an experienced enthusiast. Why this gift: The Gold Medal Wine Club is one of our favorite wine subscription companies. These luxury California wines rated 93 points or higher from small family wineries represent everything fantastic in the Golden State wine industry. Get more details about this wine club gift in our Diamond Series review." Why this gift: For anyone who loves Veuve Clicquot Yellow Label, this is a perfect gift. Champagne lovers are often particular about what they like and stick with their preferences, so sending a Champage Gift Basket featuring Veuve is sure to make their day. Why this gift: Few Champagnes have the reputation of Dom Perignon. When you want to send an elegant gift that you are certain will be appreciated, a bottle of Dom is a no-brainer. Their elegant black gift box foretells of the delectable and decadent treat inside. Why this gift: When you give a three-month give of this delectable box of wine and treats, you're helping your favorite wine lover relax after a long week of work. Once a month they'll come home, crack open a new hand-picked bottle of artisanal California wine, cut up unusual and delicious expertly-paired cheese, and enjoy mouthwatering expertly-paired salami and Nita Crisp crackers. For 10 years we've been reviewing wine of the month clubs. If you'd like to learn more about this wine club gift, please read our full WineDownBox review. Why this gift: Whether you're attracted to the Bernard Remy Champagne, the Jessica Foster handmade chocolate truffles, or the Napa Soap Company spa products, you're looking at one fine gift basket for anyone who needs to check into the day spa in the master bathroom — alone or with their special someone. The Vino Valpredo 2012 Merlot reflects on Merlot's softer, more elegant side with fruit sourced from some of the region's most treasured vineyards. Aromas of red currant and plum blend seamlessly on the nose while the palate enjoys a similar flavor profile of plum, dried cranberries, and baking spices. Everything about this wine is engulfed in soft, velvet-like tannins and ends with a beautiful, long-lasting finish. Information provided by Gold Medal Wine Club. Why this gift: Two bottles of true French Champagne from Bernard Remy delivered with two Riedel Champagne flutes, handmade chocolate truffles, a professional Champagne puller, and a champagne bottle stopper. What else could you ask for in a celebratory Champagne gift basket? Why this gift: Vinley Market is one of our favorite wine clubs, and we especially love the sommelier-selected bargains in their Adventurer's wine club. This three-month gift of three wines in each shipment is sure to impress any adventurous wine drinker, whether a new explorer or an experienced enthusiast. Why this gift: The California Wine Club is one of our favorite wine subscription companies. We recommend this wine club gift for Cabernet Sauvignon lovers who either have never tried Aged Cabernet or already love it. Get more details about this wine club in our Aged Cabernet Series review. Announce your gift with the elegant Gift+ option for an additional $18." Why this gift: Premium wines from their best wine California wine regions (Chardonnay from the Russian River Valley), Napa Cabernet Sauvignon, and a Bordeaux-style red blend Meritage, also from Napa make this an excellent wine basket to give to any California wine lover. "The 40-acre Tenma Vineyard is located in the foothills of Mt. St. Helena, Napa Valley, where our reserve Cabernet Sauvignon is produced in partnership with renowned winemaker Robin Akhurst of Clos Pegase. Bold and unctuous, this Cabernet boasts opulent flavors of jammy black fruit and a touch of creamy vanilla." Information provided by GiftTree. "With a brightness that can only be claimed by Sonoma County's sun-soaked Russian River Valley, our Luminist Chardonnay is masterfully made in collaboration with winemaker Glenn Hugo. Radiant aromas of orange blossom and lemon zest are balanced with stone fruit notes and a smooth, light oak finish." Information provided by GiftTree.